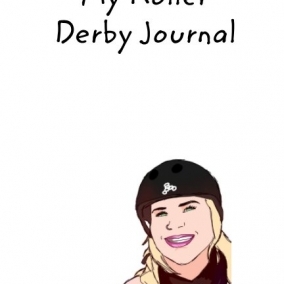 I curated a one of a kind derby journal with the help of my fellow derby folks! I asked around and couldn’t find a roller derby specific goal book, so I thought long and hard about what matters most when we are trying to crush goals. Everything from practices, drills, off skates workouts, and weight loss/gain (depending in your specific goals) are taken into consideration.